As I mentioned last week, I’m starting my preparations for the Dumbo Double Dare on week 2 of the Jeff Galloway designed training program. Above, is what the Galloway plan looked like (see week 2). This is the plan, as it looks on my training calendar for the week. This is what I actually did this week. As you can see, I missed the mark. However, I ended the week strong. Let’s look back at why it failed to meet the plan. 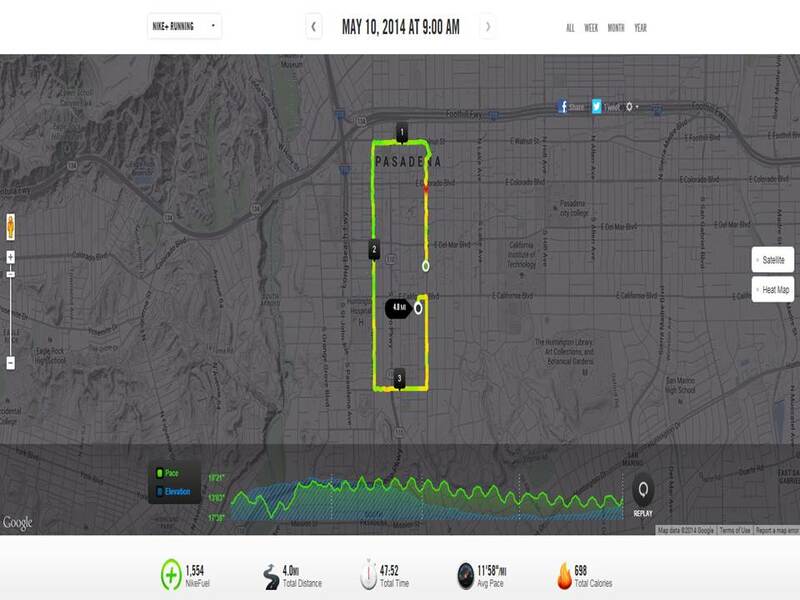 Monday – This was a planned rest day after the OC Half Marathon from the day before. Boy did I need this day off. So, Monday went exactly as I planned. Tuesday – The first unplanned rest day. I had planned on a 3 mile run. However, I was still feeling tired from the OC Half Marathon. My legs were still really tight and I just didn’t have it in me to get out and run. Wednesday – The second unplanned rest day. Honestly, this was the day where I realized that the OC Half Marathon was now my slowest half marathon time. It was a major blow to me mentally on Wednesday. Add to that, I was also dealing with emotions stemming from the Choose Joy Event I went to last Saturday about adoption and I was nowhere near being in a good enough mental place to try any kind of workout and/or run. This past week has been a hard one for me in dealing with the wait for the magical phone call that will make Brooke and myself parents. Not every week is this hard. However, this week was one of those weeks that it was. Thursday – The third unplanned rest day. This time, I just felt like I needed another day to pull everything together. Then, when I got home, I found out that my wife’s grandfather had passed away that afternoon. That kind of put the nail in the coffin of workouts for that day. Her grandfather was someone who I loved being around. He lived in the suburbs of Chicago, so we didn’t get to see him very often. However, when we did see him, it was good times. My favorite thing to do with him was play cards. Whenever we played cards, we all would laugh a lot and the time would fly by. Jack was also a huge baseball fan. 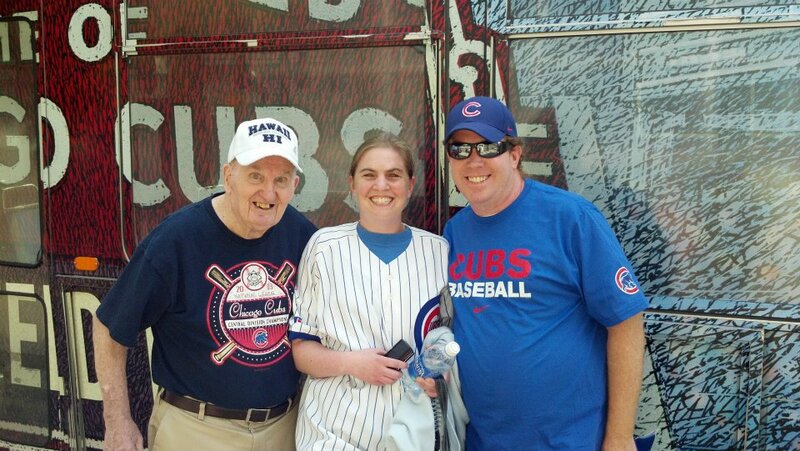 I count it an honor to have taken him to his last game at Wrigley Field in 2012. Friday – This was a planned rest day and a much-needed one. It had been an emotional week for both Brooke and myself. So, even though it was a little tempting to make up for one of the lost workouts or training runs on this day, by the time I got to leave work, I had no doubt that I needed to have a night off. The evening gave me some time to regroup and be mentally ready to start the Dumbo Double Dare training the next morning. 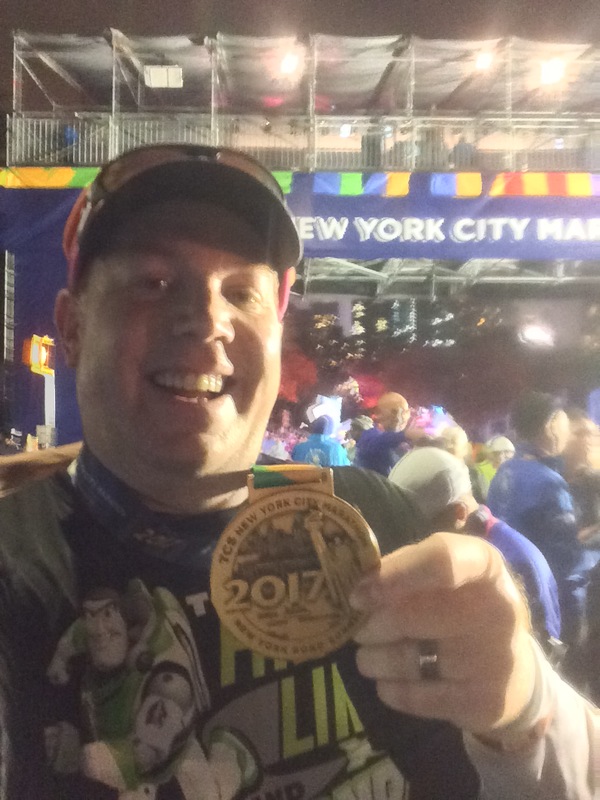 Saturday – I finally began my preparations for the Dumbo Double Dare with a 4 mile training run that went as well as could be expected. I even finished with a time that put my average pace to under 12 minutes per mile! Considering that I hadn’t run since the OC Half Marathon, I was pleased with the result. 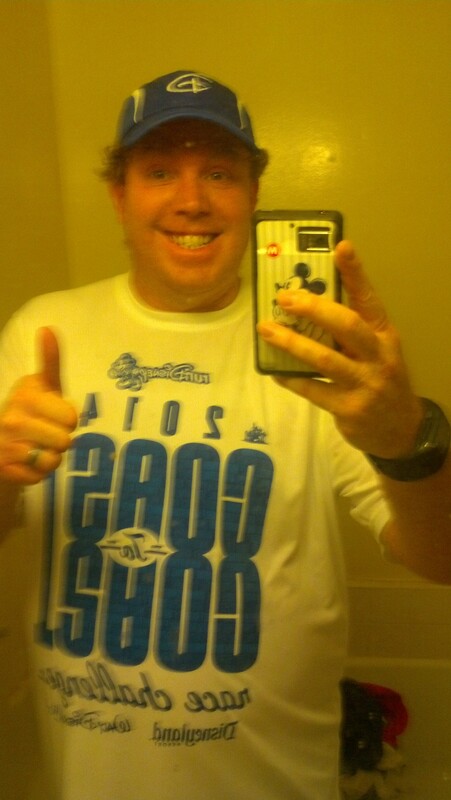 Yep, I was a happy camper at the end of the run. It felt great to be out and running again. 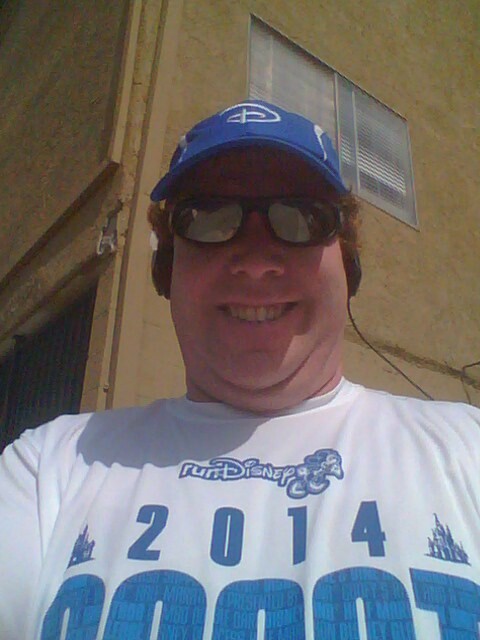 Additionally, it felt great to get a shorter run in without any pain or physical limitations again. This run felt normal. I might have been a little slower than I hope to be by the time Dumbo rolls around. However, considering how my shorter runs have gone lately, I was thrilled to finish one again feeling great throughout. Plus, I got to run over the 4 mile route that used to be a staple for me in preparation for the 2014 Walt Disney World Marathon! I love running by the place that held my wedding reception and the park that is behind it! My journey towards my first Disney Coast to Coast medal had officially begun and I couldn’t be more thrilled with how it turned out! Sunday – I continued the trend and stayed ON plan with a gym workout. 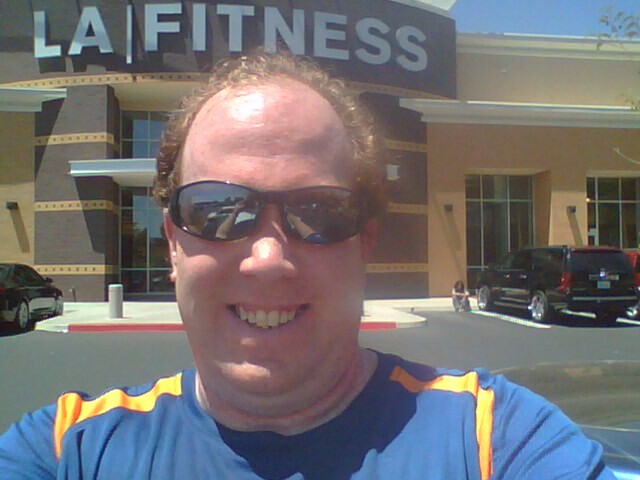 This time, I ventured to a new LA Fitness that opened nearby. I felt like I wanted to go somewhere new and decided to check out the newly opened Sierra Madre location. I love the new gym! 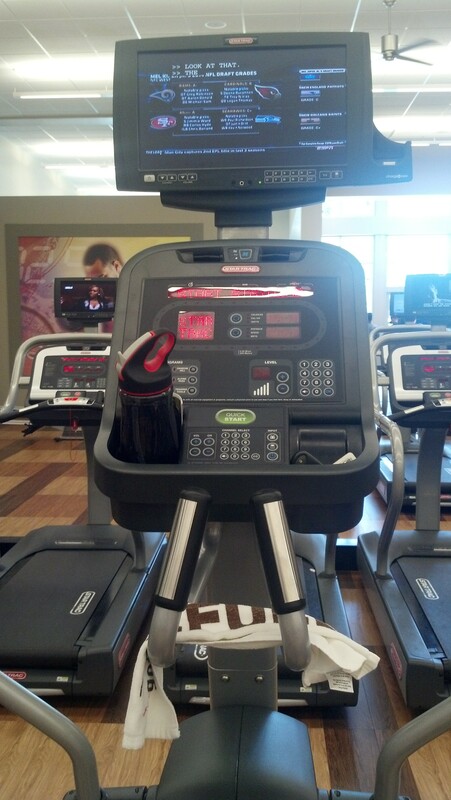 The cardio machines all have individual television screens. Even though I used my music for the elliptical machine, it was cool to have ESPN playing on the screen in front of me! The downside of a new gym is that they have different machines. The elliptical machine pictured above has a very different feel than the one I’ve been using at the Pasadena location. This elliptical workout felt much harder than other ones. Also, I felt very awkward backpedaling. I almost gave up at 21 minutes because of how awkward it felt. However, I decided to just keep going forward and finish my time out going forward. When I come back to this location (and I will), I’ll keep trying at the backpedaling until it feels more comfortable. 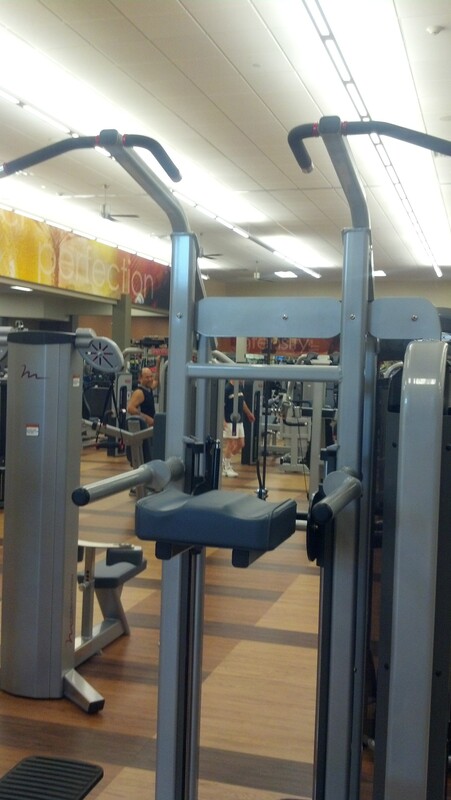 Another machine that made me feel a little unsure was the assisted pull ups/dips machine I use. This machine at the Pasadena location has you standing the entire time. However, where the pad is on this machine, it requires you to be on your knees. That felt different. Also, how you add weight was different. If I’m not mistaken, the point of the assisted pull ups machine is to take weight off. When you regularly do pull ups, without a machine like this one, you’re pulling up your entire body weight. The assisted machine takes off some of your body weight in order to make it more doable (for those, like myself who have a hard time without the help). So, the above picture is of how I set the weight. I’m pretty sure that I didn’t set it correctly. However, I was able to do all the reps/sets that I usually do with it set this way. At the Pasadena location, I just put a pin in at 190lbs and go. As I learned on a different machine, you only need to pull over the lever for the desired weight. So, pulling 6 levers over was not necessary because I probably had more than 120lbs as my setting (each pin adds weight). I did some experimenting with the levers until I found something I could handle. I made it through my sets/reps with this setting. However, I don’t really know what my setting was. All I know is that it pushed me hard, but not so hard that I couldn’t finish. 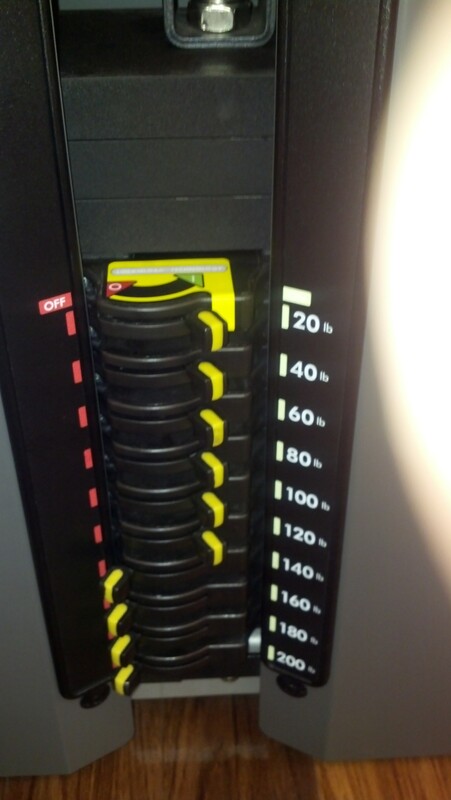 If I had done the leg press machine before this one, I would have known how to set the weight. On that machine, there was a good explanation on how to set the weight. So, I set that machine properly. Outside of the workouts, this week was a bit hard and emotional. However, the weekend turned out okay. Brooke and I went to celebrate Mother’s Day with my parents on Saturday afternoon and into the evening. My mom is now a smart phone owner as we upgraded her phone to an iPhone 4s. When we went to the Verizon Wireless store, we didn’t know this, but they had a special promotion for people who were upgrading to smart phones. If you upgraded to a smart phone, you could get one of their tablets for free! So, not only is my mom now a smart phone owner, but she has a tablet as well! On top of that, Verizon had a promotion going where that tablet my mom got was available for $49.99. So, I got one for my wife and I as well! Yep. A new toy to play with! Brooke and I had dinner with her parents on Sunday to celebrate Mother’s Day. Because of the passing of Brooke’s grandfather, I was a little apprehensive about this celebration. However, everything turned out okay. We had a wonderful evening of conversation and some good food as well. So, after a poor start to week 1, I finished off the week strong! Bring on week 2! Hang in there, buddy. I, too, have had trouble with motivation since the WDW Marathon. I’m now in my 3rd week back into it and it feels great. I’ve noticed that, as fast as the conditioning goes away, it can come back just as quickly. 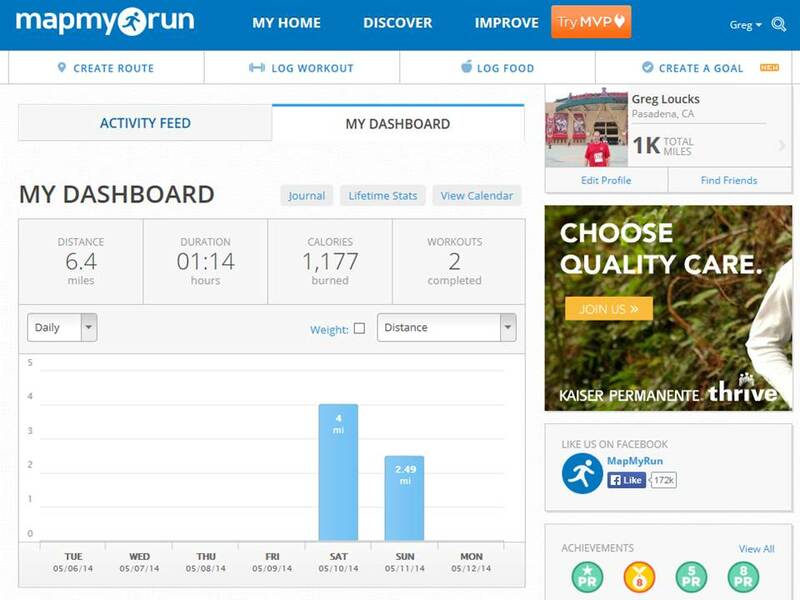 You’ve logged those previous miles – no one can take that away. You helped push me so much the weeks leading up to the marathon. I wanted to reassure you that you’ve done a great job. There will be ebbs and flows. Don’t get discouraged. I’m sorry to hear of your loss and wish you all the best in your journey towards adoption. I try to use training as a diversion and stress reliever myself, but easier said than done. I only know you through your blog, but you and Brooke seem like good people – and I believe good things happen to good people. Thank you so much for your encouraging words. I will keep it up. Hey don’t be so hard on yourself. You’ve had a massive week. Sometimes getting out there for a run can help and other times the only thing that can make you feel better is chocolate and peanut butter (for me anyway). I think we don’t realize sometimes how hard it is to come to terms with a slow time, especially when there is often weeks and weeks of preparation and everyone knows and keeps asking how you went. It’s devastating and sometimes you just need time to grieve. After my slow time last year, I grieved by buying new running shoes. Yep I blamed the shoes! Thanks for the encouragement! Peanut Butter and Chocolate is an awesome combination! Also, I’ll have to remember to blame the running shoes for a slow run time. After all, some one (or something) had to take the blame. Right? Thank you do much for sharing your journey with us. Your posts are inspiring, heartfelt, and real! Here’s hoping you get that magic call soon! Thanks! I hope I get that call soon as well!